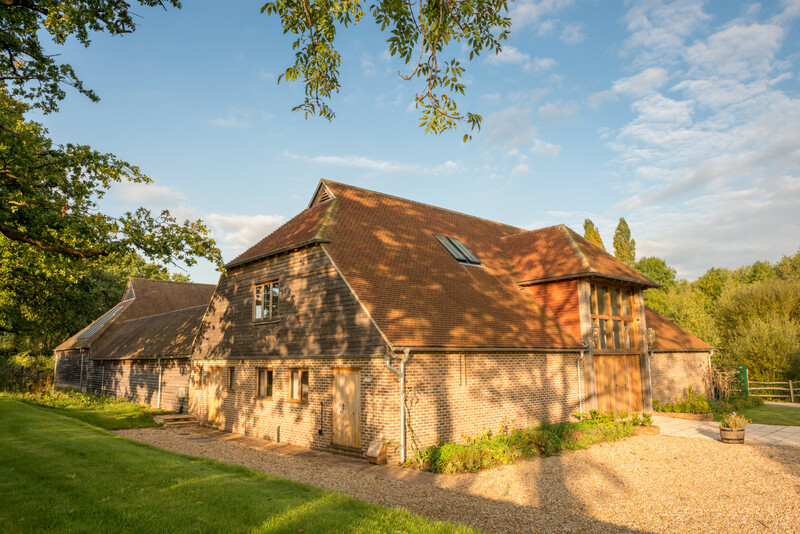 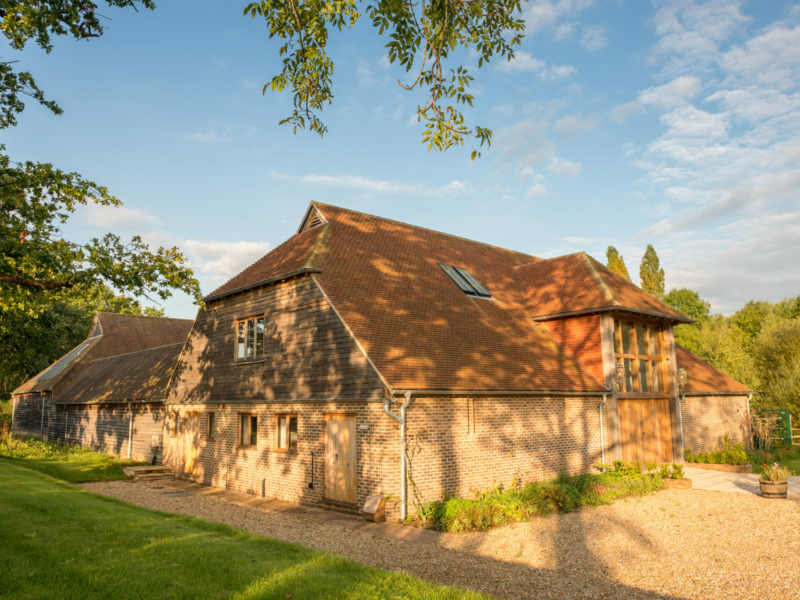 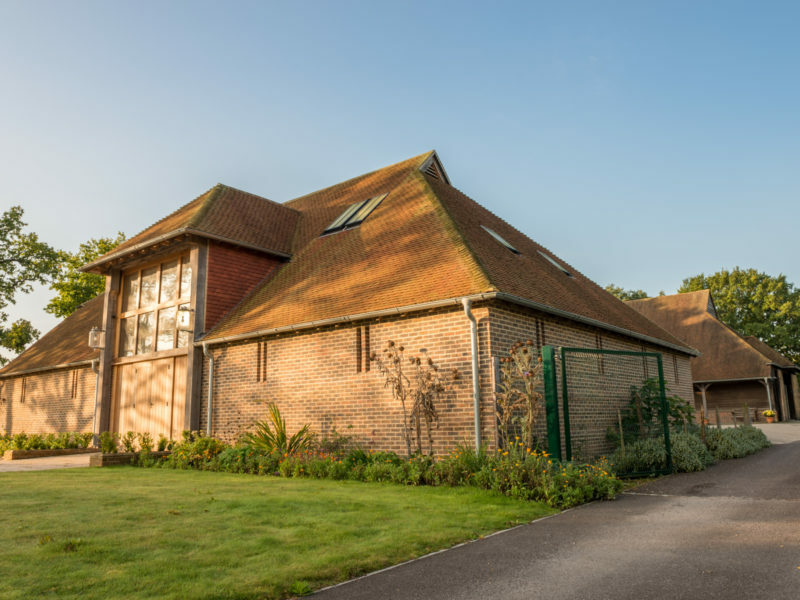 The client had planning permission for a group of new farm buildings and the first barn and stable block had been built. 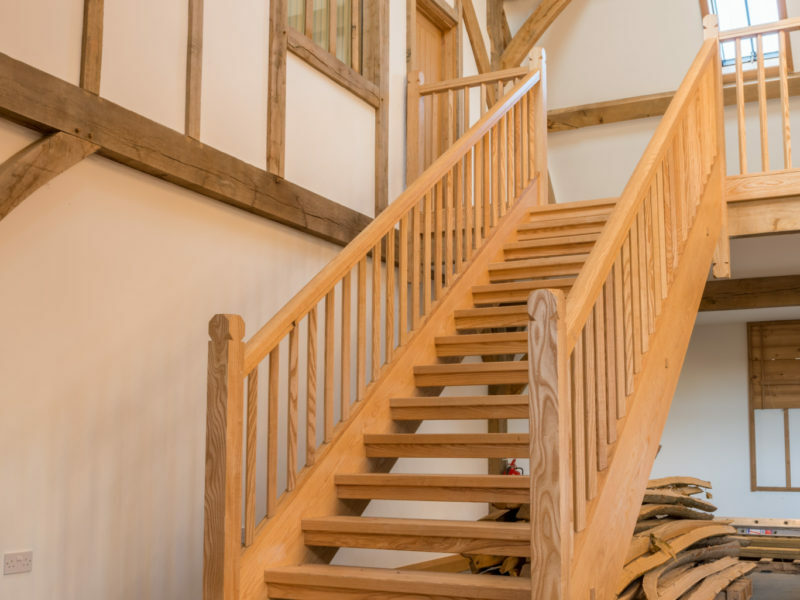 For the second barn he wanted to explore the use of traditional green oak framing. 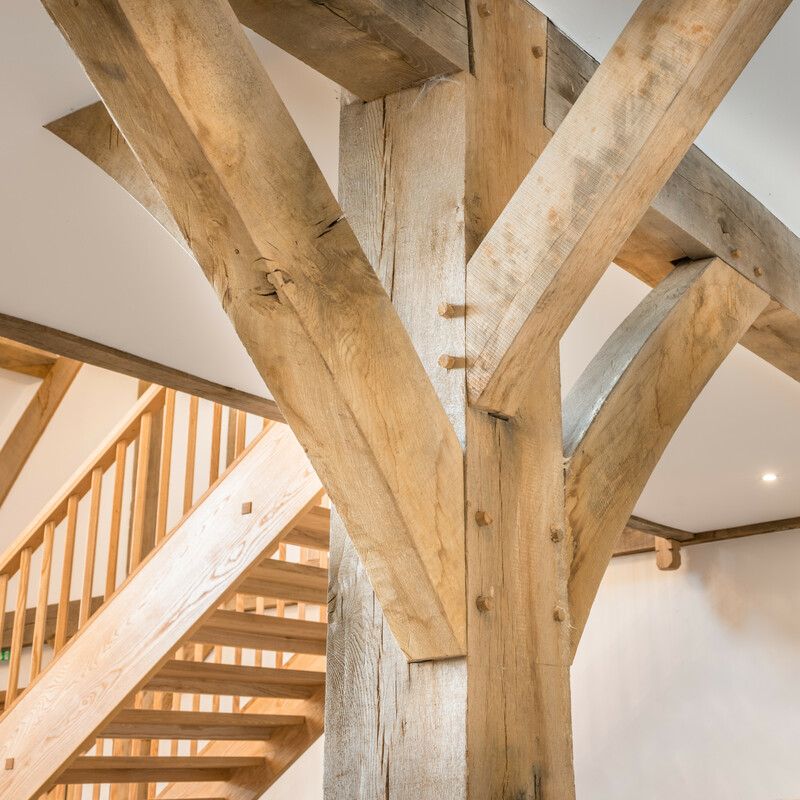 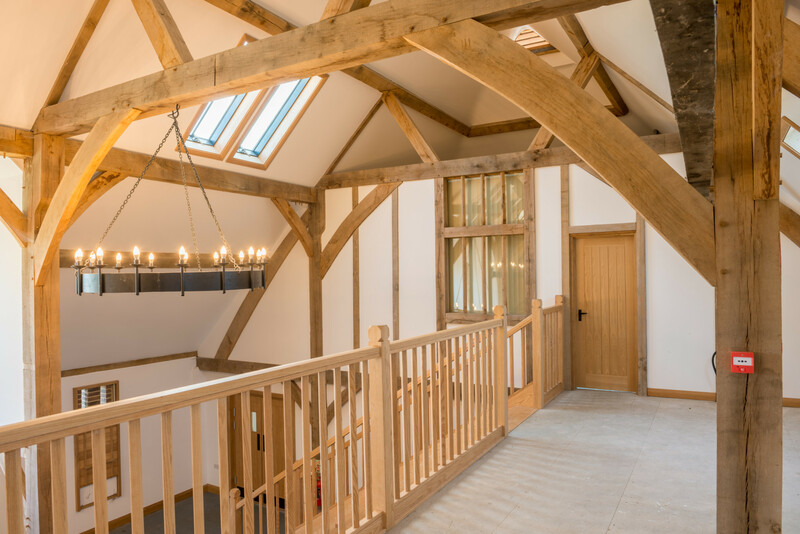 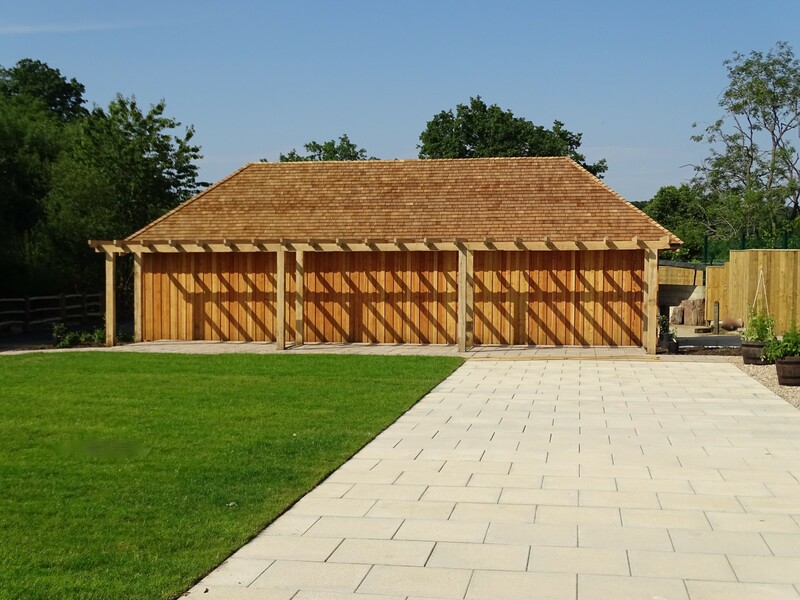 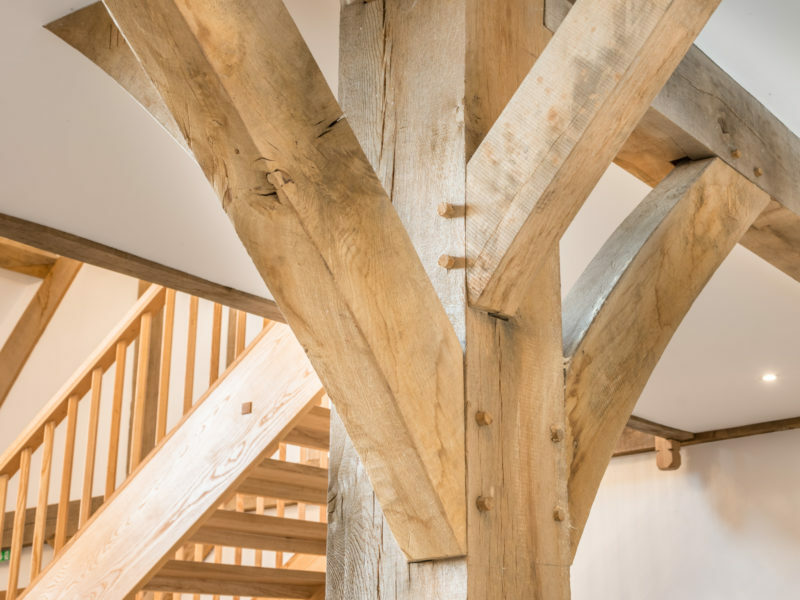 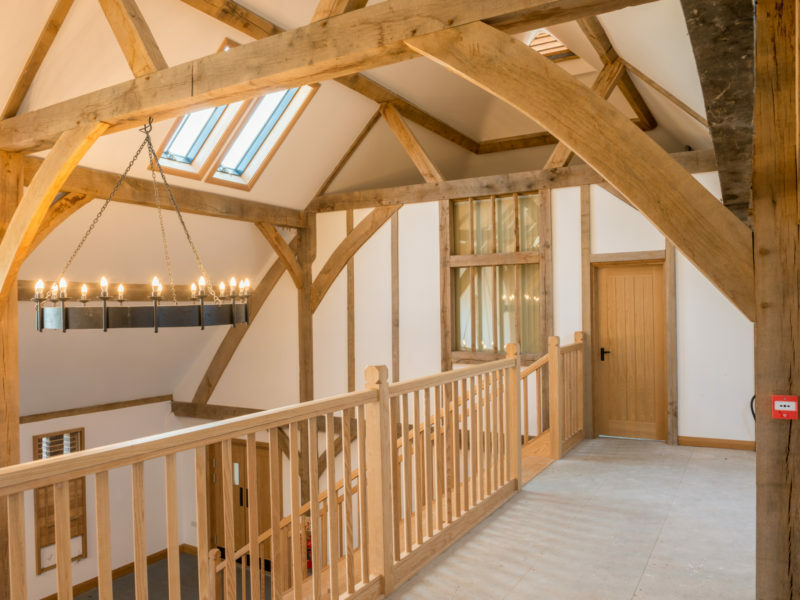 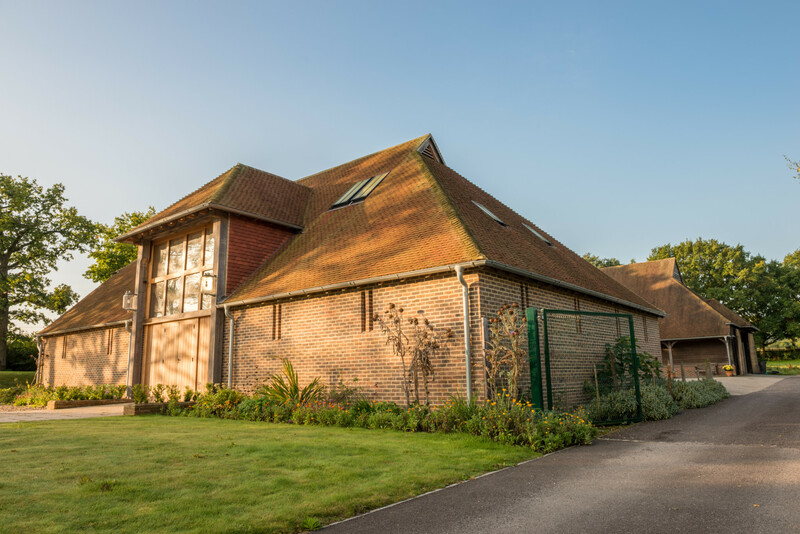 The traditional barns at the Weald and Downland Open Air Museum provided the inspiration for this design. 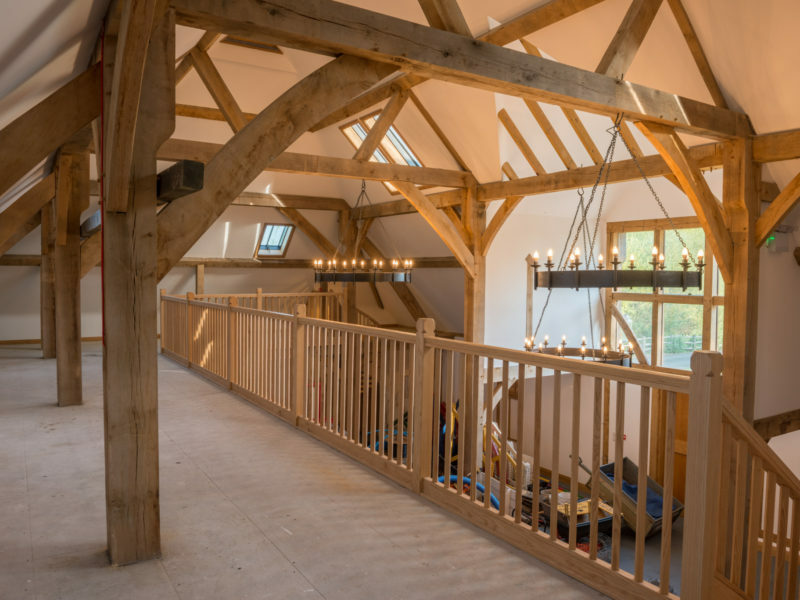 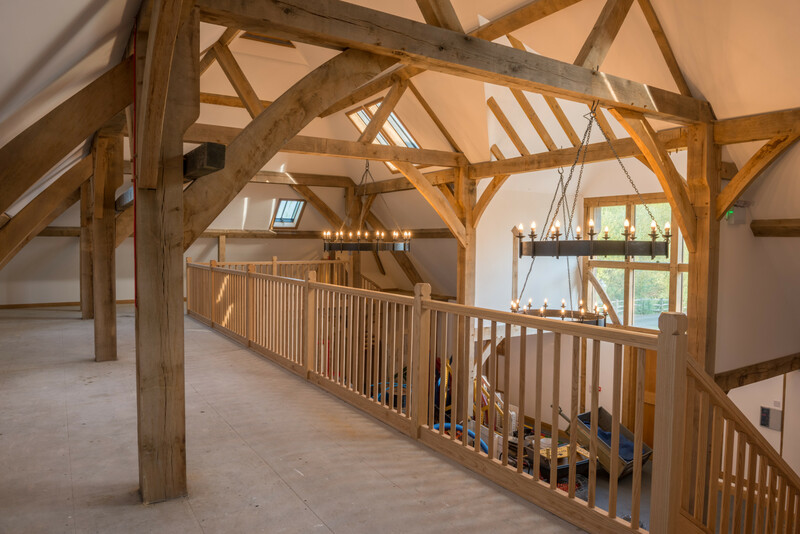 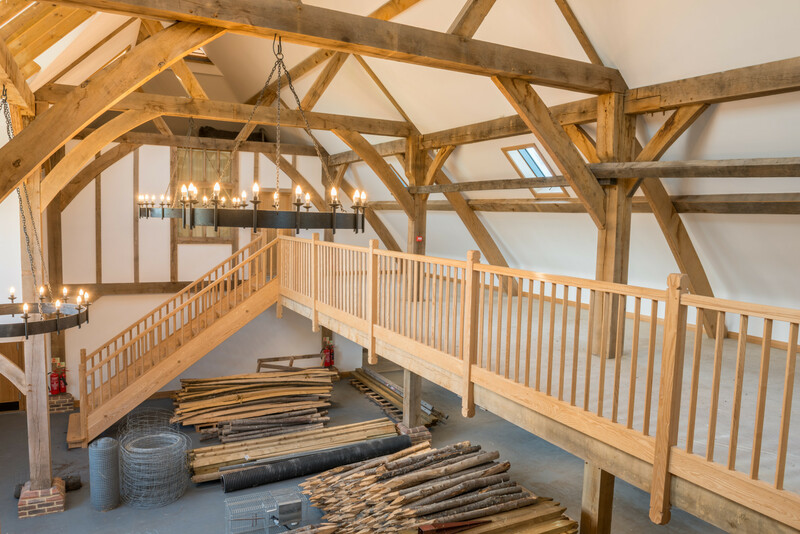 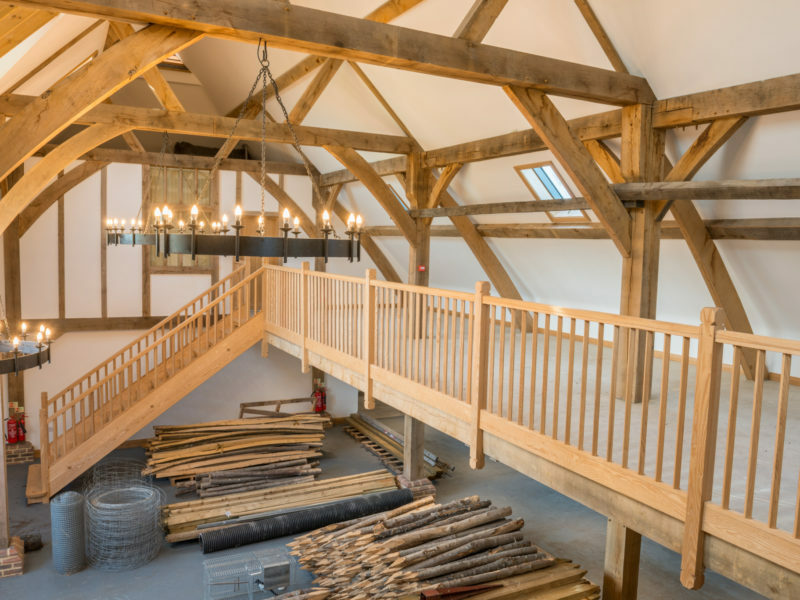 Each frame was made on site by specialist firm Artizans of Wood. 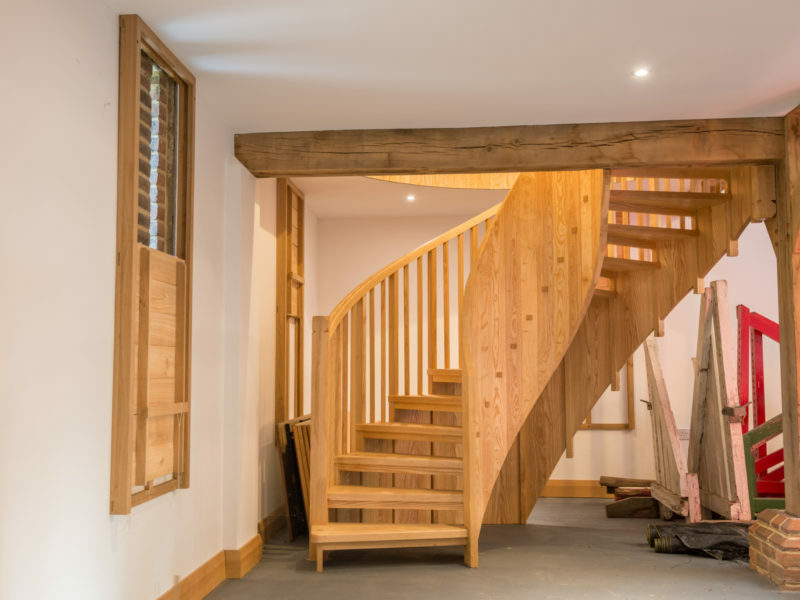 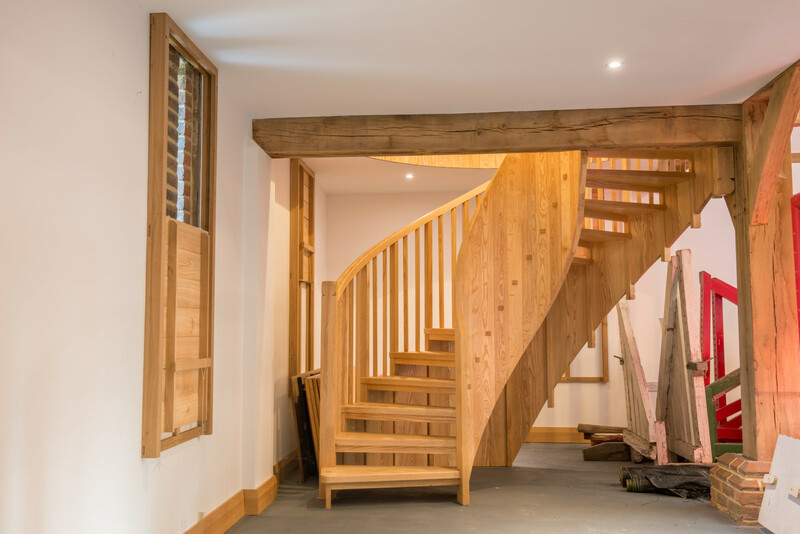 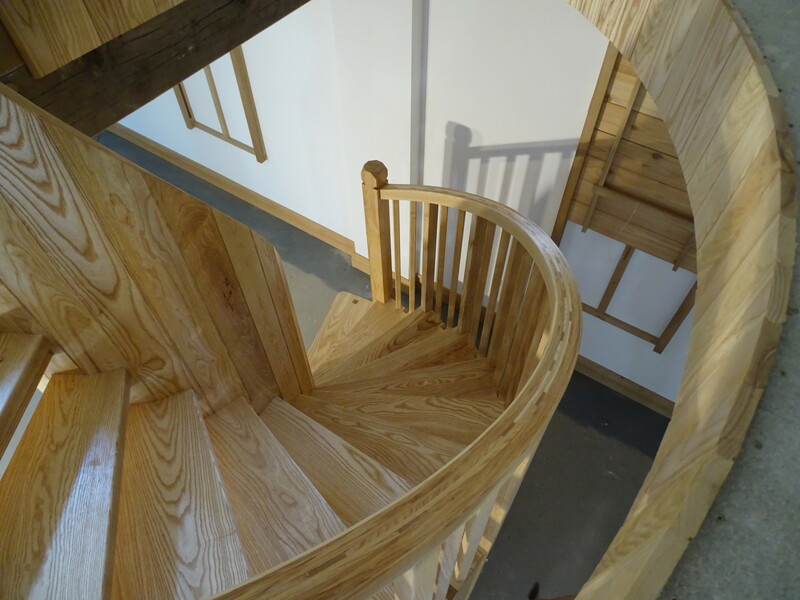 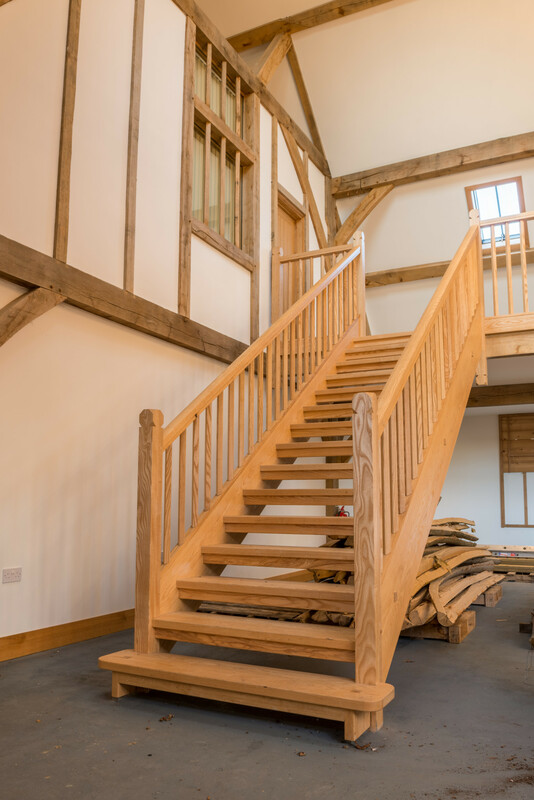 The result is a beautiful space with a unique helical staircase designed and made by Greenbank Furniture, who also made the windows, doors and shutters.